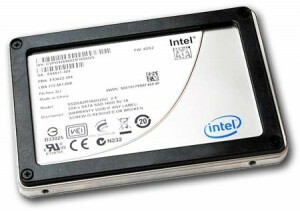 Home › Thoughts › SSDs are totally worth it! SSDs are totally worth it! A few years ago I suffered my first hard drive failure. Not a nice thing to go through, but at least my drive was nice enough to give me a good advance warning. I noticed Windows was taking much longer than usual to boot up, and after a few tests I noticed that the hard drive had started developing bad sectors. First a couple, then a few more, and it was getting worse every day. In the end, I managed to rescue everything and copy it to a new drive. Some years later, that new drive started giving off the same signs. Some files would load slowly, much more slowly than they should. And that lit a warning light in my head. I checked and I saw some suspicious sectors popping up. Not quite bad yet, but going stale. 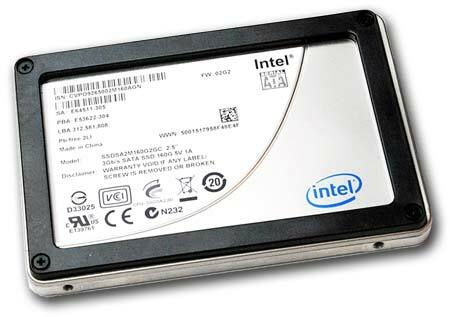 Now I have switched to an Intel X25-M SSD. Right when Intel released their newer generation of SSDs, prices on their older beauties dropped sharply so that the remaining stock could be sold, and I wanted a top brand device, so I stepped in and bought a 120GB drive. It might sound a bit small by today’s standards, but it’s more than enough for an OS, applications, and your most important data. For everything else, you can use an external drive (I have 1 TB, that’s the largest thing you can get on USB power). I know that SSD is a newer technology and is regarded as less reliable. But for a laptop computer, I think they are actually safer than traditional hard disks. Sure, the media slowly wears out, but it will still last for many years — enough to outlast most other components of your laptop. And it has no moving parts, so it’s immune to the typical problems that may cause drive failure in a portable system — shocks, vibration, temperature extremes, and all that. Some people are still skeptical about this technology. Don’t be! The price tag and the “limited lifespan” rumors may make you hesitate, but the benefits outweigh that by a ton. With so much processing power and memory available in modern end-user systems, the hard drive is truly the bottleneck that prevents most people from enjoying lightning fast operation of their computer. On a desktop, high-end traditional drives are probably still the better option — you should be able to get a fast-spinning monster that will do justice to the rest of your configuration; and since you are not going to carry that around, it’s probably going to last longer than an SSD. But if you have a laptop, don’t bother. Buy an SSD! You’ll thank me.